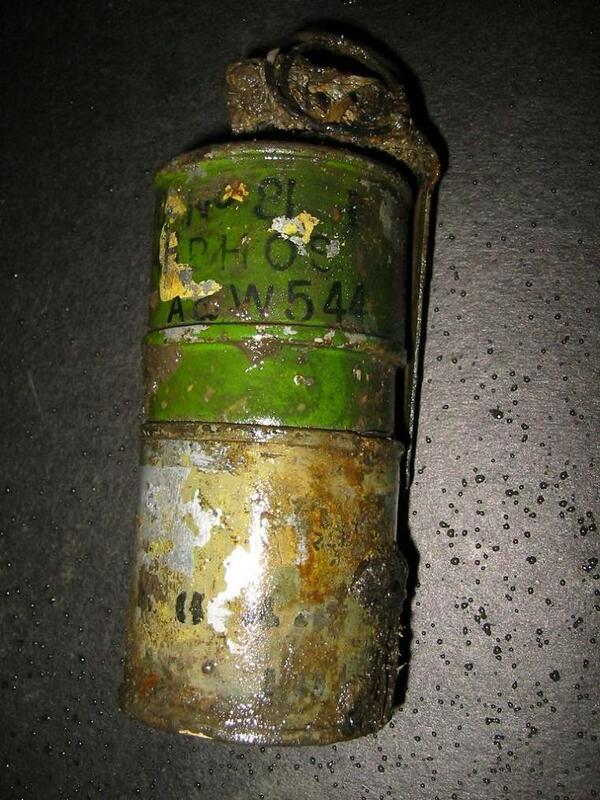 Like the No.80 this was a smoke grenade, but has a body divided in 2 halves, welded together. 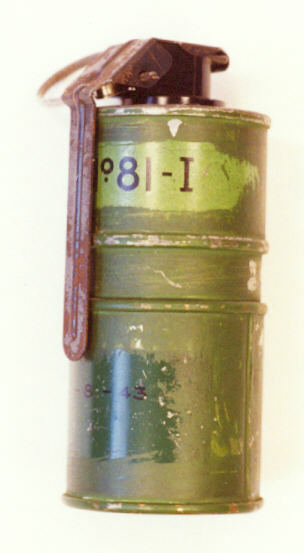 It has a similar fuze (Striker Mechanism No.3) and used Detonator Assembly No.75Mk1 or Mk2. There was a delay of 2.5 to 4 seconds. Filling : 156gram WP and 241gram HC composition. The grenade in the photo below was found by myself during UXO (WW2) clearance in Holland. 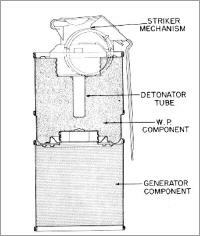 The upper half was filled with WP and held the fuze- and detonator well. 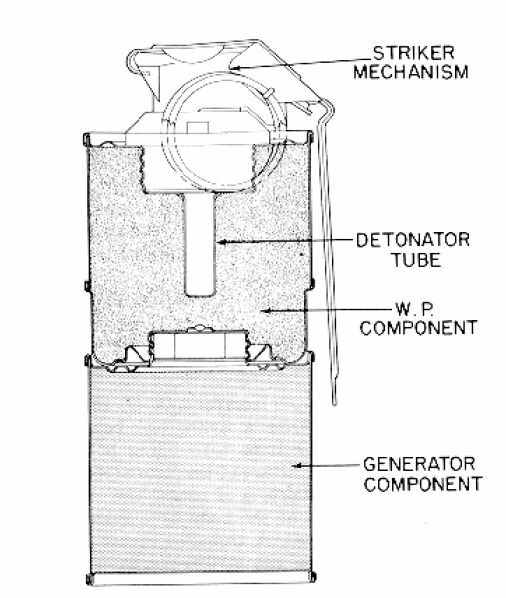 When the WP filling was shattered, creating an immediate smoke screen, the lower part was ignited as well, releasing HC smoke (SR269M) for about 45seconds. This combination resulted in a longer lasting screen.